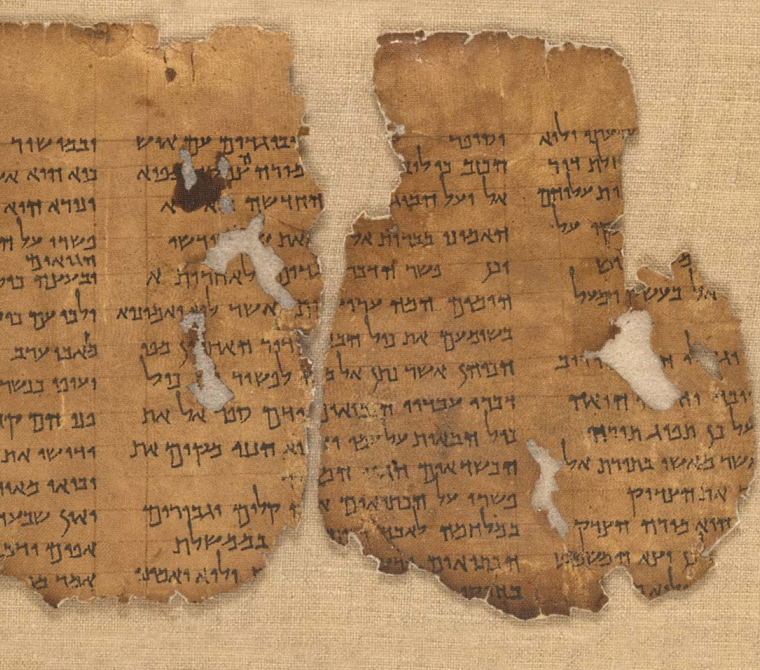 Which biblical manuscripts are ‘right’: Qumran, the Septuagint, or the Masoretic Text? Commentaries usually propose two possible sources for this quotation in the New Testament from the Hebrew Bible: Psalm 97:7 and Deuteronomy 32:43. Psalm 97 looks to be the closest match for this phrase, especially once we realise that the Septuagint occasionally translates the Hebrew word elohim with the Greek word angelos (the Hebrew MT of Psalm 97:7 reads השתחוו־לו כל־אלהים worship him all you gods [elohim] whereas the Septuagint reads προσκυνήσατε αὐτῷ πάντες οἱ ἄγγελοι αὐτοῦ worship him all his angels), and it is generally thought that the writer of the NT book of Hebrews usually quotes from the Septuagint (but more about this shortly). If Paul is quoting Deuteronomy 32:43 in Romans then he is following the Masoretic Text with Gentiles or nations, where the Septuagint has “rejoice O heavens“. There could be a clue here that the writer of Romans is not the same person as the writer of Hebrews, but having said that, one Qumran version (think ‘Dead Sea Scrolls’) of this text reads “Praise, heavens, his people” (1QDtb) while another reads “Praise, nations …” (4QDtq) so we have two different Qumran-Hebrew texts of this verse and the Masoretic Text represents one Hebrew text while the Septuagint corresponds to another. Romans follows one version, while Hebrews appears to follow the other. The ancient Aramaic version known as Targum Onkelos has an Aramaic equivalent to the Masoretic Text with “Praise, Gentiles, his people”. The Samaritan Pentateuch has the same reading as the Masoretic Text. Interestingly, in an article by George Howard published as early as 1968 he argued that Hebrews may very well have been following a Hebrew text which was different to the Masoretic text, rather than following the Greek Septuagint, and that Hebrews 1:6 is closer to Qumran Deuteronomy than to the Septuagint. He found that some quotes are actually closer to the Aramaic versions (Targum Onkelos and the Peshitta) than to either the Hebrew or Greek. But what about Psalm 97:7? If the writer of Hebrews is quoting from this psalm then we can forget the difficulties with Deuteronomy. There are some problems here too, although possibly not as much as with a Deuteronomy source. As I mentioned in my opening paragraph, the main difference between the two texts is that the Hebrew Masoretic Text of Psalm 97:7 reads השתחוו־לו כל־אלהים worship him all you gods [elohim] whereas the Septuagint reads προσκυνήσατε αὐτῷ πάντες οἱ ἄγγελοι αὐτοῦ worship him all his angels). To many scholars this isn’t much of a difficulty because we know that the Septuagint translators sometimes used ἄγγελοι angels in place of אלהים gods. However, Hebrews has “angels of God” rather than simply angels and this suggests the writer was tranlating from Hebrew בני אלהים sons of God rather than simply “gods” [elohim]. Interestingly, 4QDtq from Qumran has “sons of God” in Deuteronomy 32:43, so this may steer us back to a Deuteronomy source and away from Psalms. It looks like a bit of a mess! At least two versions of one biblical text, with the New Testament writers quoting from both versions. How can they both be ‘right’? The problem is actually a modern one. Timothy Law, in an interview with Peter Enns, has concluded rather well: ‘We know now that there were many other variant forms of the Hebrew scriptures circulating before the time of Jesus … the existence of multiple forms of scripture (Greek and Hebrew) in antiquity, both before, during, and after the time of Christ, did not bother early Christians. The search for an “original text” on which to ground one’s faith is a distinctively modern worry’ (his emphasis). It seems to me that the New Testament writers reflected current and earlier scribal practices where it was not necessary to copy or translate the exact form of words, but rather to faithfully transmit the ideas and the essential message. There is a popular misconception that the earliest Christians used the Greek translation of the Hebrew Bible as their Scriptures, and that all the quotations from the ‘Old Testament’ in the New Testament are from this Greek translation, commonly known as “The Septuagint”  . In later posts I plan to look at some quotations which are more likely to be drawn directly from the Hebrew (then translated into Greek by the New Testament writer) or from some other source, but first I will deal with some of the quotations which are most likely from the Septuagint. My purpose is to give an overview of some of the difficulties we face when the New Testament quotation doesn’t match up with what we find in our own Bibles, and to provide some explanations for why this happens (and perhaps some solutions). In this post I will look at just one quotation which illustrates the problems quite well. During the early church meeting commonly known as ‘the Jerusalem Council’ (Acts 15:1-35) James quotes from ‘the words of the prophets’ (vv15-18), specifically from Amos 9:11-12. This quotation is closer to the Septuagint (LXX) than to to the Hebrew Masoretic Text (MT)  , although there are actually eleven differences between the version in Acts and the LXX  . The translator who translated the Hebrew into Greek (the LXX) made a mistake, or a couple of mistakes, in reading the Hebrew and therefore made a wrong translation which James then uses. The translator was using a different Hebrew text to the one which eventually became the Masoretic Text (scholars call this ‘original’ text used for the translation the Vorlage). If so, there must have been at least two different versions of the Hebrew of Amos at the time when the LXX was translated. That is possible, and we have good manuscript evidence to indicate there were different Hebrew texts circulating in the first century CE, but which text then would be most faithful to the earliest or ‘original’ text? The translator deliberately altered the words to give it a different meaning for theological reasons. For Christians who believe in the ‘inerrancy’ of the Bible any of these possibilities pose a problem: which text is ‘inspired’, the Hebrew Masoretic Text used for translating the Old Testament into English (which may include errors if we believe that the NT puts its stamp of approval on an alternative version), or the Greek Septuagint translation of a different Hebrew text (which is now lost), used by James and quoted in the New Testament? Either the MT is right, and the LXX and NT are wrong, or the LXX and NT are right and the MT is wrong. Do you see the problem? The difference rests mainly on two words (highlighted above). The Hebrew word for ‘Edom’ is אדום and the ‘o’ sound is represented by the letter ו. Strictly speaking written Biblical Hebrew is consonantal, and most of the vowels were added much later by the Masoretes. However, the letter ו is one of the four letters known as ‘Matres lectionis’ which were also used to indicate vowels and during the Biblical period a word could be written with or without it. It is possible that in some manuscripts the word for ‘Edom’ was written אדם. Now this presents a problem, because this is the same word as ‘mankind’ and ‘Adam’. In most cases there is no problem because the context will determine which of the three words is meant (although this is precisely the kind of problem that caused the Masoretes to later add marks to indicate the vowels and to avoid the confusion). So now we have two possibilities for how ‘Edom’ became ‘mankind’ (or Gentiles): the manuscript from which the LXX translator was working had אדם without the vowel ו and he read it as ‘mankind/Gentiles’ rather than as Edom; or, a scribe copying a manuscript at some point read אדם=mankind as ‘Edom’ and added the ו vowel to avoid confusion (but making a mistake in the process), and it is from this copy containing the error that our MT has come down to us. Take your pick. The second difference is slightly more complicated. The word translated ‘seek’ in the LXX (ἐκζητήσωσιν) translates ירש which means ‘possess’. This would be the only place where the LXX translates ירש as ‘seek’. Twenty nine times the LXX uses this Greek word for ‘seek’ to translate the Hebrew word דרשׁ which differs only by the first letter, and seventy three times it uses it to translate the word בקשׁ which has only one letter in common. Some scholars suggest that the translator misread דרשׁ (seek) as ירשׁ (possess) which is possible especially if the copy from which he was working was worn, faded or smudged. McLay says it is less likely that he misread it as בקשׁ as this would require him to confuse two consonants which don’t look very similar. However, and this is where I think it becomes even more interesting, we need to know that the Hebrew system of writing began to change after the Babylonian exile from ‘Paleo-Hebrew’ to the ‘block’ or ‘square’ Aramaic or Assyrian style that is still in use today (with some further modifications). The earliest copies of the scroll containing Amos (‘the Scroll of the Twelve Prophets’) would most likely have been in Paleo-Hebrew, and in this script the words בקשׁ and ירשׁ are much more similar. The chart shows these words in the square script which is now used, the Paleo-Hebrew in which Amos was probably first written, and the early form of the square script which is found in the Dead Sea Scrolls Isaiah manuscript to show how it may have been written if the Aramaic script was already in use. While ר and ק are not similar in the square script they could easily be mistaken in Paleo-Hebrew. Similarly ד י and ב could also be mistaken, especially if the text was faded, smudged or damaged. Many scholars understand that the LXX text arose from a different version of the Hebrew text through a misreading of this kind  . Where does this leave us? We can see how an error may have crept in somewhere and this explains why we have two versions of the words of Amos in our Bibles. But which one is likely to be original? Unfortunately there is no easy answer to this and scholars are divided on the question. Most scholars tend to prefer one version or the other depending on which one they feel best fits the context and until another ancient manuscript is discovered to shed more light on the subject we will have to be content with that. The ancient Greek translations of the Hebrew Bible are popularly called “the Septuagint”, although several different translations have all in fact been designated as such. There is probably no one translation which has a better claim to the designation than the others, so some scholars tend these days to speak of them as “Septuagints” (plural) and specify the particular manuscript to which they are referring, or collectively as the Greek Jewish Scriptures. Often when commentaries refer to “the Septuagint” (or by its abbreviation LXX) they mean the text and translation by Brenton (1844). For a good overview of current Septuagint scholarship see R.Timothy McLay The Use of the Septuagint in New Testament Research (Grand Rapids: Eerdmans, 2003). Was David “a man after God’s own heart”? I’ve frequently heard it said that, according to the Bible, King David was “a man after God’s own heart” and that despite his serious moral failures (adultery and murder among them) his heart was, after all was said and done, “in the right place” and this somehow compensated for his major faults. But is it actually true? 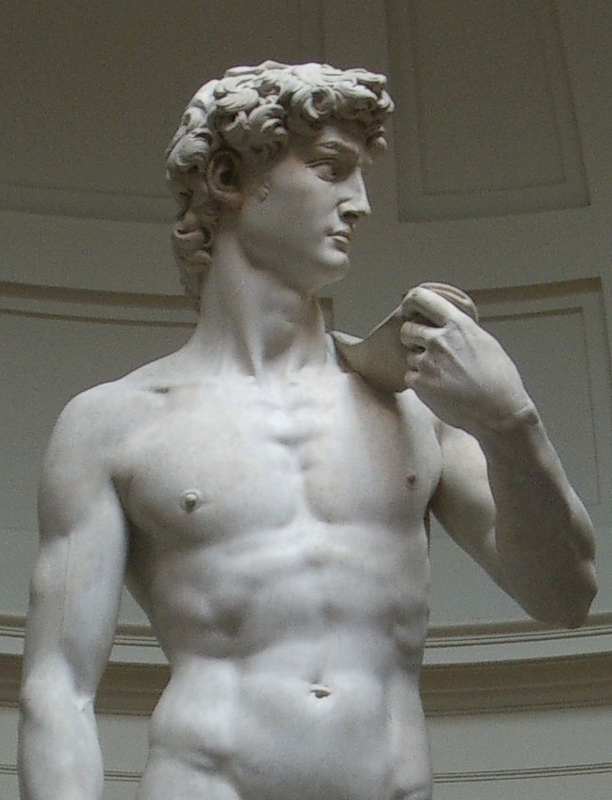 Does the Bible really say that David was “a man after God’s own heart”? The text that is quoted in support of this claim is Samuel’s words to King Saul in 1 Samuel 13:14 “You have done foolishly; you have not kept the commandment of the Lord your God, which he commanded you. The Lord would have established your kingdom over Israel for ever, but now your kingdom will not continue; the Lord has sought out a man after his own heart; and the Lord has appointed him to be ruler over his people, because you have not kept what the Lord commanded you.” The story goes on to tell us how David was the man who was chosen to replace Saul as King of Israel, so it’s perfectly natural to read this as meaning David was “a man after [God’s] own heart”. The word כִּלְבָבֹו is better translated as “according to his own heart” so the sentence then reads “the LORD has sought a man according to his own heart” (the prefix כ means as, or according to) and a similar expression appears in 2 Samuel 7:21 where כְלִבְּךָ is translated into English as “according to your own heart”, the translators there correctly translating כ as “according to”. In Hebrew the “heart” is what we would call the “mind” – the seat of thought and intelligence. In other words “according to your heart” means “according to your mind, or will” and “according to God’s own heart” means God has sought out someone in accordance with his mind, or someone chosen by his own free choice. Interestingly, a similar expression occurs in the Inscription of Nebuchadnezzar where the king refers to himself as “I his eldest son, the chosen of his heart” (column 5, lines 21, 22). So the point of 1 Samuel 13:14 is that Saul’s successor would be a man chosen by God, by his own free choice, and it says nothing about the moral character or “heart” of the man so chosen. The ‘virtually unanimous trend in recent scholarship … understands the phrase “after [Yhwh’s] own heart” in 1 Sam 13:14 as a statement about Yhwh’s choice rather than David’s character’. (Benjamin J. M. Johnson, “The Heart of Yhwh’s Chosen One in 1 Samuel” Journal of Biblical Literature Volume 131, Number 3, 2012). See also P. Kyle McCarter Jr, I Samuel: A New Translation with Introduction, Notes and Commentary (AB 8; Garden City, NY: Doubleday, 1980), 229. Since McCarter very few scholars have followed the traditional interpretation.